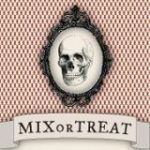 MIXorTreat celebrates the autumnal Halloween vibe of the season. DJ Axis spins the tunes, while Counter Culture serves up mulled wine, cider and beer. Also: Did we mention there’s a fire pit? October means MIX or TREAT! Technically, you’ll get both as COUNTER CULTURE hosts MIX this month and provides the nummy, noteworthy nosh the Baca Street joint is famous for—FREE of charge. DJ AXISSIXA will drop a planar shift on your sonic sensibilities and very likely bend some Y all the way around the X. Fill out the quick survey (either at the door or online: http://bit.ly/MIXtreat ) and receive an adult beverage courtesy of local design + development firm ANAGRAM. Plus, we’ll announce the winners of the #remike Instagram PHOTO CONTEST, show off YOUR priorities for St. Michael’s Drive from last month’s MIX, and dive into the mutual mastication and mingling that only MIX moves you to do. If you missed the RE:MIKE event, scope the photos at facebook.com/remikeable and get ready for a heaping helping of real, on-the-ground outcomes for Central Santa Fe going into next year—the kind of stuff that demonstrates that MIX is more than fun—your involvement is making a difference in your community. As always, MIX is a private party and YOU (and yours) are INVITED. Courtesy drinks are on a first come, first serve basis and they do tend to go fast. Wine and beer will also be available for sale. Thanks to Lacey Adams–this month’s awesome local design talent!